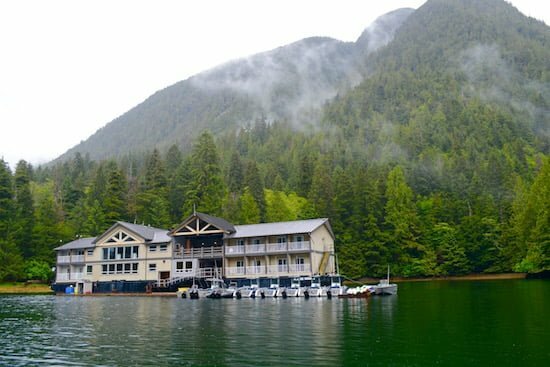 MORESBY ISLAND, HAIDA GWAII, BRITISH COLUMBIA — Most of the significant hotel openings in Canada premier with brand names emblazoned on their edifices and wow factors boasted about on their list of amenities. In many ways, Ocean House Lodge, which opened to the public on June 3, promises to do far more than push superlatives to consumers. Located on a calm inlet miles away from any human activity, the luxury resort property is a masterfully designed emblem of eco-tourism in Canada. It is also the latest Indigenous-owned experience in a country that is witnessing fervent interest in tourism offerings tied to its First Nations communities. According to the Indigenous Tourism Association of Canada, the sector employs more than 40,000 people across 1,500-plus businesses that collectively contribute over $1.5 billion to the nation’s gross-domestic product. Ocean House joins the roster during this year’s recognition of National Indigenous Peoples History Month. It belongs to the Haida Nation of northwest British Columbia. They are a community that has earned global renown for their art and the ferocity with which they have fought for environmental protection of the land. In recent years, the Haida have ventured into the tourism industry with the goal of balancing the desire for economic prosperity with steadfast oversight of the more than 150 islands they have considered their territory for greater than 13,000 years. They believe their imperative is to revere and protect the ocean and terrain. To do so, they need to keep alive their culture — which is where tourism plays a role. And where Ocean House hopes to make its biggest impact. It employs young members of the Haida Nation as guides, chefs, support staff, and cultural ambassadors, as well as provides opportunities for its elder artists and leaders to discuss their heritage with guests while showcasing the artwork of the community. 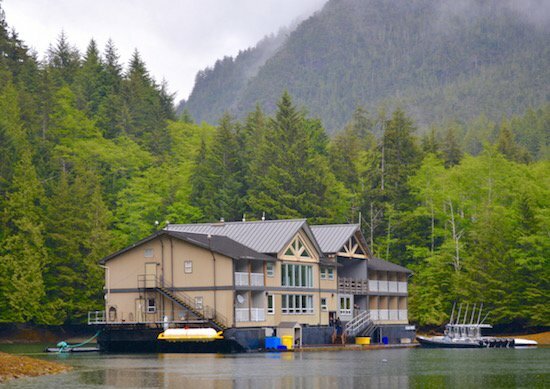 A sister lodge, Haida House, has operated under the Haida Enterprise Corporation since 2012 and is about 100 kilometres (65 miles) to the north of Ocean House. The reviews from the guests who I shared the lodge with on its opening week indicate success is coming. Sara Olsen and her partner, Jim Walters, were effusive in the praise they bestowed on the Ocean House and its staff. The Californians decided to book their vacation to Haida Gwaii after being impressed with Canada during a visit to northern Manitoba to view polar bears in 2017. What they didn’t expect was the lush beauty of the rainforest or the quality of the Ocean House. “When we were in Churchill the accommodations were pretty basic. It was warm but that was it. Here, there is a luxuriousness in pretty much everything,” says Walters, an avid kayaker who has had a fascination with Haida Gwaii (formerly the Queen Charlotte Islands) for decades and owns a ceremonial Haida mask that he purchased 40 years ago from a Boston art gallery. Olsen appreciated the escape and distraction Ocean House offers. 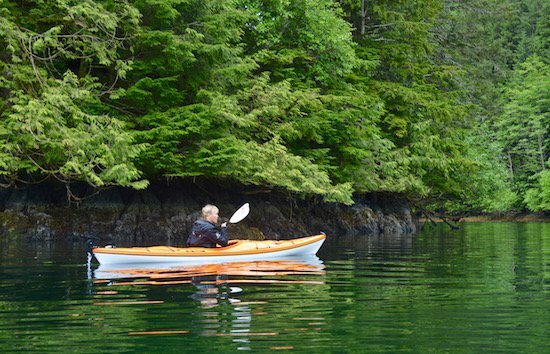 The property rests in Peel Inlet (or Stads K’uns GawGa in the Haida language) in the heart of Moresby Island, which, along with neighbouring Graham Island, is one of Haida Gwaii’s two main centres. It is surrounded by territory that includes fjords, dramatic cliffs, the archipelago’s tallest peak (4,000-foot Mount Moresby), and waters rich with marine life. Haida archaeology is a primary topic of Ocean House’s activities as guests have the chance to visit ancient village sites while an elder guides them through the rainforest, providing commentary on the medicinal plants, towering trees, and culturally significant ruins. All of those features allowed for a respite from the headlines in the United States that are often troubling, Olsen notes. As with most properties in their infancy, Ocean House is still working on ironing out a number of features. It is putting a helipad in place and until it is completed guests will fly by helicopter from Sandspit Airport on the northeast end of Moresby Island to a partner resort, where they will take a 15-minute boat ride to their destination. The activities program is being fleshed out. By mid-July a salmon-fishing outing is expected to be part of the resort’s packages and will allow guests the chance to catch their dinner and have it cooked over an open flame as Haida have done for millennia. A traditional dugout canoe built from a 600-year-old red cedar tree is sitting on the property and awaiting the finishing touches on oars, which will then allow the craft to be taken out into the waters. In the future, the resort, which is currently floating on a dock, will be stationed on land. Until then, guests will have limited hiking activities in the immediate vicinity of the lodge. The ingredients used in the food are another aspect of the immersion that can take place at Ocean House, where the staff of young guides and hospitality professionals provide opportunities to learn about the living culture of the people. The Haida comprise a hearty community residing amid a climate that is most often wet and cold, and in one of the most remote places on earth — the population of Haida Gwaii is approximately 5,000 and at 10,000 square kilometres (4,000 square feet) its size is about the same as Hawaii’s Big Island, where close to 200,000 people reside. To get from one point to another can mean crossing choppy waters with intense swells while land journeys can also be disconcerting because of ungroomed hiking trails and slippery shorelines. 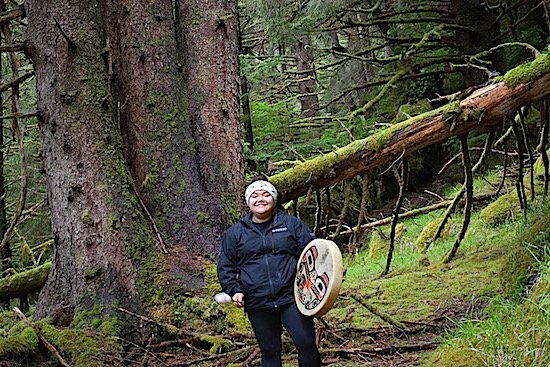 As such, a normal day’s activity for many of the inhabitants of Haida Gwaii can come across as a test of endurance for some of its guests — and, as Olsen points out, that can be appreciated. Getting There: For its opening weeks, Ocean House Lodge is accessed via a charter flight from Vancouver International Airport’s South Terminal that takes guests to Sandspit Airport on Moresby Island. From there, guests fly by helicopter to the Lodge at Englefield Bay, where they board a power boat for a ride to the Ocean House. A helipad is expected to be in place at the property by the end of June 2018, allowing for a direct helicopter flight from Sandspit Airport. Rates: Ocean House includes three-night ($4,410 per guest), four-night ($5,880), and seven-night ($8,810) packages. Notable: Guujaaw, a Haida Chief from the village of Skedans, will be the artist-in-residence from July 8-15. Packing Tips: The weather, even in summer, can be unpredictable, so pack with layers in mind (and be aware that a 25-pound weight limit on total luggage is in place because of the helicopter ride). Remember to bring Gravol, or a similar remedy, if you suffer from seasickness, because the boat rides can be over very rough ocean. 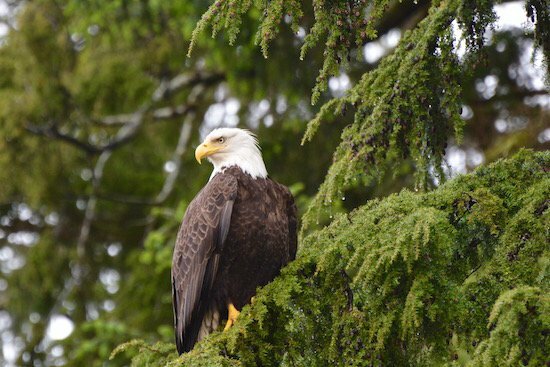 Clans: The Haida are comprised of two clans — Eagles and Ravens. While there is a friendly rivalry, the two clans have traditionally intermarried and been partners in trade and art. 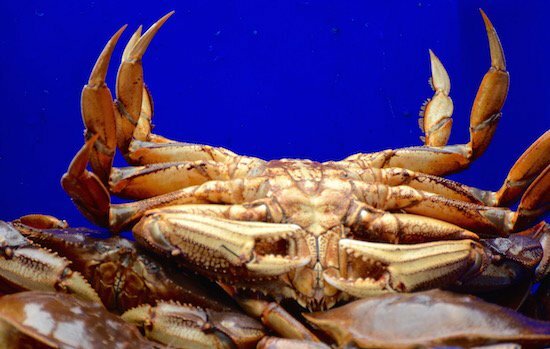 Environmentalism: The Haida created the much-lauded Watchmen program that provides oversight of their land and oceans. 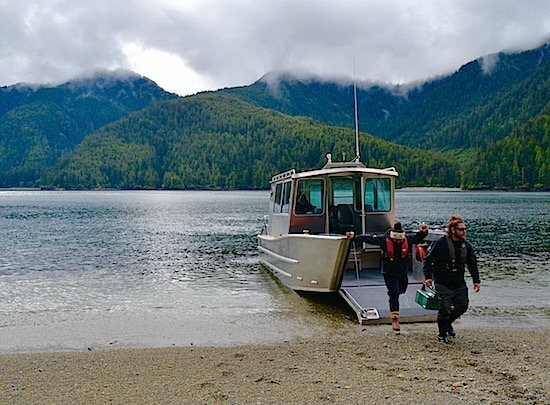 The Watchmen program is key to ensuring the sustainability and eco-sensitive practices of Gwaii Haanas National Park Reserve on Moresby Island. Each year only about 1,800 visitors are admitted to the national park, which is about 65 kilometres (40 miles) south of Ocean House. Art: Haida’s artwork, including totem poles, are distinct among Indigenous groups. Many pieces have become collector’s items and notable artists such as Bill Reid are world famous. At Ocean House, guests will have the chance to see a totem pole from the mid-1800s on a tour of the ancient village of Ts’aahl (or Chaatl).